Research thus far has been targeted at improving function, and studies have been conducted to examine methods for improving cognition, social skills, and job interview skills. While the treatment of psychosis is not typically thought of as “cutting edge,” research into the use of virtual reality (VR) as therapy for psychosis shows promise. VR, which can allow patients to talk to an avatar of their hallucinations, explore locations that give them anxiety, and practice talking to others in a variety of threating or non-threatening situations, gives patients the chance to work through their own fears in a no-risk environment. Research thus far has been targeted at improving function, and studies have been conducted to examine methods for improving cognition, social skills, job interview skills, and to augment cognitive behavioral therapy (CBT) in schizophrenia or other mental disorders with psychosis. 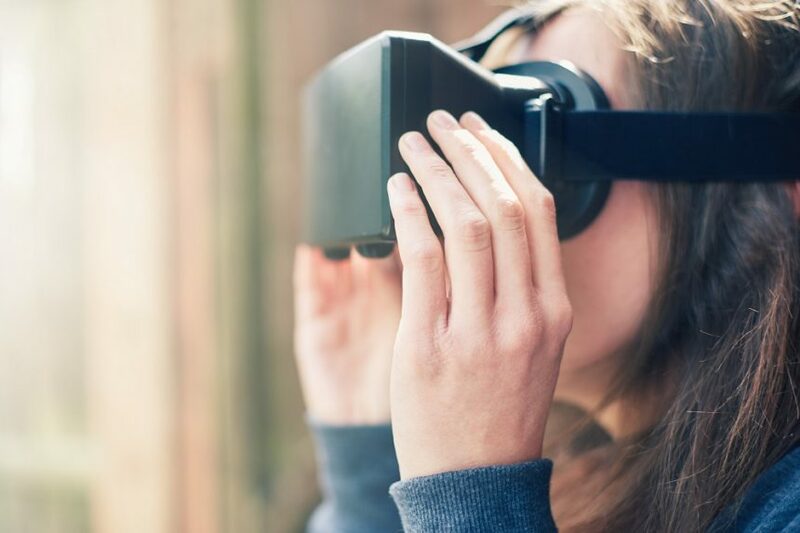 To gain deeper insight into the use of VR in treating psychosis, Psychiatry Advisor interviewed Mar Rus-Calafell, PhD, a clinical psychologist at the Oxford Cognitive Approaches to Psychosis Group, who was the lead investigator in a systematic review of the use of VR in the assessment and treatment of psychosis, and co-investigator in many articles in this field.1 Dr Rus-Calafell emphasized that VR is a safe treatment method in patients with psychosis. “I think it is important to highlight that VR is a safe method to use with people with psychosis, because the main concerns from my colleagues or from clinicians are, ‘you are going to make them worse,’ or ‘you’re going to make them experience some things that they don’t like to experience,’” Dr Rus-Calafell said. She noted that individuals treated with VR do not report an increase in symptoms after using VR either for assessment or treatment of psychosis, nor do they report cybersickness (a symptom similar to motion sickness) more than would be expected in healthy populations. Adverse events, such as hospital admissions, are also not linked to the use of VR as a treatment for psychosis. To examine VR’s effects on cognitive function, Chan and colleagues2 conducted VR cognitive training in older patients with a long-term diagnosis of schizophrenia. The VR training included a game in which participants navigated through a seascape towards a yellow star while avoiding sharks and eels. The researchers found that compared with patients receiving typical in-facility treatment the patients using VR had significantly higher overall cognitive scores on the Cognistat Neurobehavioral Cognitive Status Examination. In a more directed paper, Tsang and Man3 studied the effect of a VR-based cognitive program on vocational outcomes. Patients with schizophrenia were divided into 3 groups: therapist-led vocational training, VR-based vocational training, and conventional therapy. All groups received general vocational training, but the non-conventional groups also performed tasks typical of working in a boutique, including greeting customers, finding clothes, and problem-solving when items were not in stock. The researchers found that patients in the VR group had higher scores in a test of executive function than both the therapist-administered group and the conventional treatment group. Both novel treatment groups had improvements in their on-site work performance scores. Given the social cognitive and neurocognitive effects associated with schizophrenia,4 researchers have also worked to improve job interview and social skills. Smith and colleagues5 used VR training in patients with schizophrenia to improve job interview skills, and found that patients using VR had higher scores on blinded interview ratings compared with waitlisted controls. Further, at 6-month follow-up, they found that patients who completed more VR interview sessions had to wait less time until receiving a job offer. To examine how VR training would affect social skills in patients with schizophrenia, Park and colleagues6 studied both traditional social role-playing and VR social skills role-playing. Social skills training consisted of 3 categories: conversation skills (eg, “Introduce yourself”), assertiveness skills (eg, “Reject a demand from another person”), and emotional expression skills. Of note, the VR group improved more with regard to conversational skills, but less in non-verbal skills. The researchers suggested that this discrepancy may have come from the nature of the assessments of non-verbal skills compared with conversational skills. The conversational skills assessed required reciprocal interactions, while the non-verbal skills were unidirectional in nature. Park and colleagues described how the game-like features of VR role-playing are more targeted to back-and-forth interactions. Patients who used VR therapy also had higher interest-in-participation scores than their traditional role-playing counterparts. Rus-Calafell and colleagues7 also examined VR’s effects on social skills and used VR in conjunction with traditional methods for social skills training. They employed VR social skills practice sessions that used positive and negative reinforcement. Relative to their baseline, patients treated with this intervention showed improvements in negative symptoms, social avoidance, and social skills. These improvements were sustained at 4-month follow-up. While CBT is popularly thought of as a treatment for depression and anxiety, it is also used in managing the cognitive and behavioral aspects of many symptoms associated with psychosis, including paranoia, delusions, hallucinations, and social anxiety. Gega and colleagues8 performed a proof-of-concept study on adding VR social training to a CBT program in 6 patients with social anxiety and paranoia. A video of the participant was projected onto a scripted video in which they acted out various social situations ranging from benign to hostile. The researchers found a significant improvement in social anxiety and paranoia scores at 24-week follow-up, but not at the end of training at the 12-week mark. In a similar fashion, Pot-Kolder and colleagues9 used VR CBT to treat 58 patients who had psychosis with paranoid ideation and/or social avoidance and compared that treatment with control patients receiving treatment as usual. The VR CBT sessions included a virtual social environment, such as a supermarket, in which the number of virtual human characters and their responses to the participant were varied to align with the patient’s paranoia. The researchers found that while this intervention did not increase the amount of time spent with other people, it did significantly reduce momentary paranoid ideation and anxiety. This improvement was maintained at follow-up. Freeman and colleagues10 compared the effect of VR cognitive therapy with VR exposure therapy in patients with persecutory delusions. Participants were asked to walk around in a virtual environment of a social situation in which they wanted to become more comfortable. The number of people in the virtual environment was then gradually increased. The cognitive therapy only differed from the exposure therapy in the additional instruction to practice not using safety-seeking behaviors, and that the virtual environment was a good practice space to do this. They found that VR cognitive therapy provided a significantly greater decrease in delusional conviction compared with VR exposure therapy. For the treatment of auditory hallucinations, Craig and colleagues11 designed a single-blind, randomized controlled trial in which patients created avatars of the being that they believed was talking to them. Compared with controls receiving supportive counselling, patients who engaged in dialogue with these avatars were found to have a significant reduction in auditory hallucinations scores. “The first challenge is to train clinicians on how to use the technology and change their minds about whether it can be a potential trigger for an unexpected reaction or adverse reaction. Rus-Calafell M, Garety P, Sason E, Craig TK, Valmaggia LR. Virtual reality in the assessment and treatment of psychosis: a systematic review of its utility, acceptability and effectiveness. Psychol Med. 2018;48(3):362-391. Chan CLF, Ngai EKY, Leung PKH, Wong S. Effect of the adapted virtual reality cognitive training program among Chinese older adults with chronic schizophrenia: a pilot study. Int J Geriatr Psychiatry. 2009;25(6):643-649. Tsang MM, Man DW. A virtual reality-based vocational training system (VRVTS) for people with schizophrenia in vocational rehabilitation. Schizophr Res. 2013;144(1-3):51-62. Martínez-Domínguez S, Penadés R, Segura B, González-Rodríguez A, Catalán R. Influence of social cognition on daily functioning in schizophrenia: study of incremental validity and mediational effects. Psychiatry Res. 2015;225(3):374-380. Smith MJ, Fleming MF, Wright MA, et al. Virtual reality job interview training and 6-month employment outcomes for individuals with schizophrenia seeking employment. Schizophr Res. 2015;166(1-3):86-91. Park K-M, Ku J, Choi S-H, et al. A virtual reality application in role-plays of social skills training for schizophrenia: a randomized, controlled trial. Psychiatry Res. 2011;189(2):166-172. Rus-Calafell M, Gutiérrez-Maldonado J, Ribas-Sabaté J. A virtual reality-integrated program for improving social skills in patients with schizophrenia: a pilot study. J Behav Ther Exp Psychiatry. 2014;45(1):81-89. Gega L, White R, Clarke T, Turner R, Fowler D. Virtual environments using video capture for social phobia with psychosis. Cyberpsychol Behav Soc Netw. 2013;16(6):473-479. Pot-Kolder RM, Geraets CN, Veling W, et al. Virtual-reality-based cognitive behavioural therapy versus waiting list control for paranoid ideation and social avoidance in patients with psychotic disorders: a single-blind randomised controlled trial. Lancet Psychiatry. 2018;5(3):217-226. Freeman D, Bradley J, Antley A, et al. Virtual reality in the treatment of persecutory delusions: randomised controlled experimental study testing how to reduce delusional conviction. Br J Psychiatry. 2016;209(1):62-67. Craig TK, Rus-Calafell M, Ward T, et al. AVATAR therapy for auditory verbal hallucinations in people with psychosis: a single-blind, randomised controlled trial. Lancet Psychiatry. 2018;5(1):31-40.